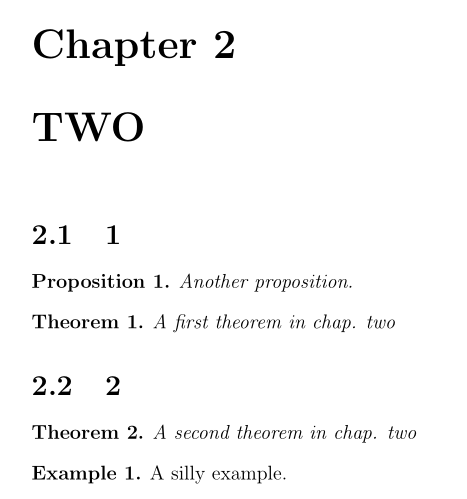 Here you are: remove the optional [teo] everywhere, replace the optional [section]with[chapter], and redefine\theteo`, &c., so it doesn't include the chapter number as a prefix. Not the answer you're looking for? 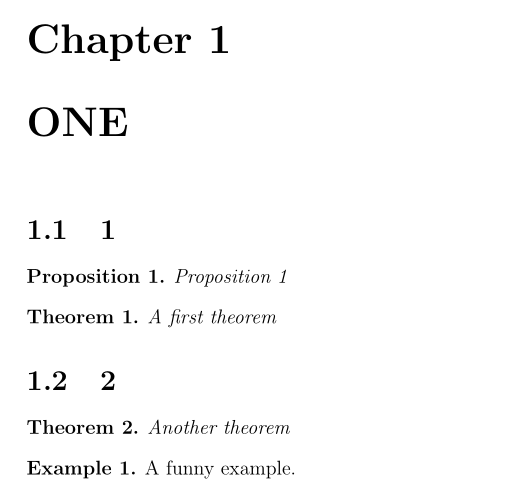 Browse other questions tagged theorems counters newtheorem or ask your own question. one counter for multiple theorems?